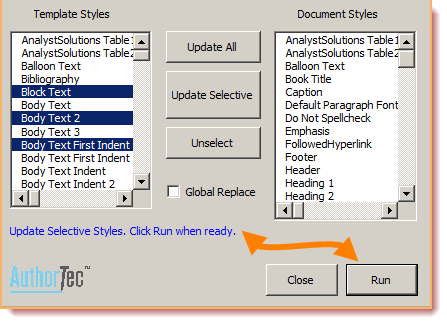 AuthorTec Update Styles allows you to rapidly apply updated styles from a master template to one or more documents. Click the Update Styles button on the Developer tab in Word. Use the Update Styles dialog box to make your changes. Choose the Styles Template you would like to use. 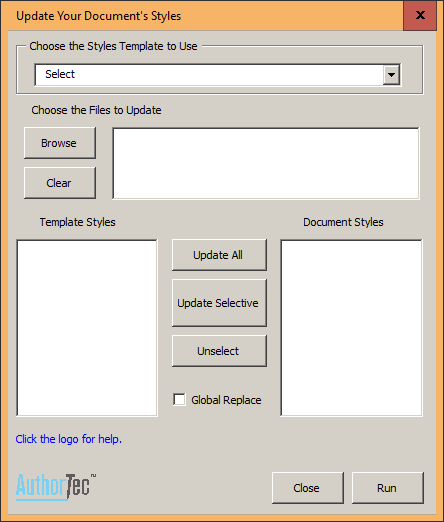 AuthorTec Update Styles includes one Styles Template. FYI: You can store multiple master style templates in the above directory. Then, simply select the master style template you wish to use from the pull-down menu on the Update Styles dialog. the "Template Styles" area of the Update Styles dialog box will populate with the list of styles in that template. Choose the file(s) you want to apply your updated styles. Use the Browse button to select the file(s). Use the Clear button remove the file(s) from the update list if you make a mistake. You will see the list of "Document Styles" in the documents you plan to update. FYI: The list of current document styles is just for information and you cannot select from it unless you mark the Global Replace checkbox. Select what you plan to update: All or Selective or Global Replace. You will see a verification prompt in the message area of the dialog box. 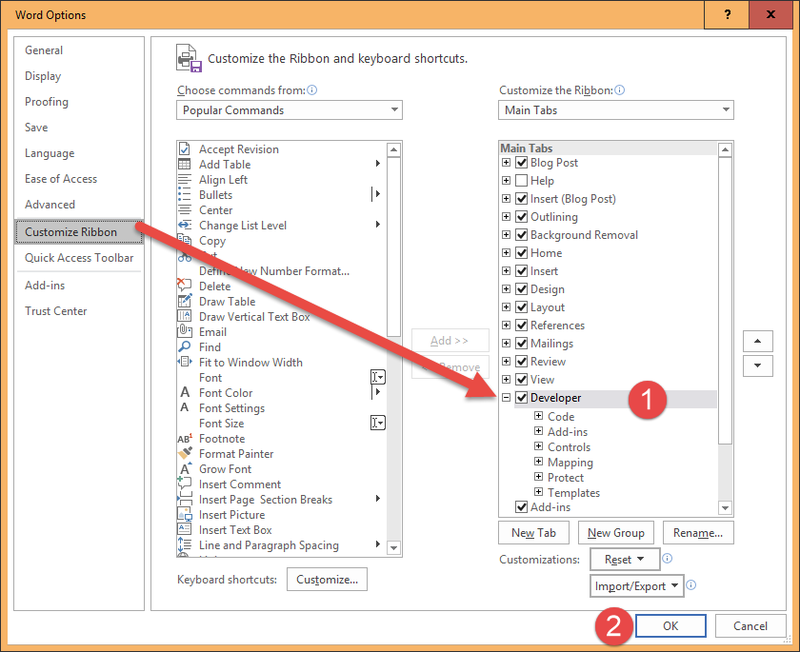 Click Run to begin the process of updating the document styles. Select from the Template Styles list the style names you want. Click the Update Selective button. Click Run to begin the selective update. Check the Global Replace checkbox. This will disable the Update All and Update Selective buttons. The Document Styles list will enable. Select the style name from the Document Styles list that you want to replace. Then, select from the Template Styles list the replacement style. All text in the document that is currently set with the style name you chose from the Document Styles list is altered to the style settings of the replacement style you chose from the Template Styles list. If you have more than one style to replace, you must perform this procedure one style replacement at a time. Click the Close button in the Update Styles dialog box.